Is Roki, Zim’s Irresistible But Serial ‘Disappointer’? He has been dubbed the ‘bad boy’ of Zimbabwe music industry and has never disappointed those who gave him that title. From substance abuse, domestic violence and random offspring siring, Rockford ‘Roki’ Josphats is never a stranger to controversy. Despite living a scandal filled and irresponsible life, Roki seems to have found a special place in people’s hearts and always happens to get away with anything, such that he keeps recurring after breaking our hearts and still gets a second chance – actually he has had too many second chances , we have lost count. How many times have we heard the Chidzoka hitmaker asking for forgiveness, another chance and promising a better him? Surely countless times, but to no avail. Old dogs can never learn new tricks. He rose to popularity in his teenage days with the ‘Urban Grooves’ wave, rocking airwaves with hits like Chidzoka, Jordan, Aiyaho among many others. Seeing the talent young Roki possessed former first lady Grace Mugabe could not help but sail in tune with the wave of thought most Zimbabweans had, that Roki was going to be the first contemporary local musician to go international, and she bought the young man studio equipment. During his heydays, he was the most sought after musician for collaborations and most budding artists at that time begged him to feature on their songs which went on to become household hits, Yombre Man’s Misodzi comes to mind. He even charmed the Chitungwiza based Harmony singers to do a remix for one of his songs Ichanaya, in the process cementing his place among the greats. Instead of riding on that popularity and a soft spot the majority of youths had for him, the Aiyaho hit-maker failed to manage himself and went wild, drinking became his staple. Fame comes with women and Roki made no mistake to utilize the opportunity as he then opened a mini crèche of his biological offspring. He divorced his long time girlfriend and mother of his two children, Pauline Gundidza to settle for one of his dancers Melody ‘Chocolate’ Musekiwa, a relationship that did not last long as the two later parted ways after two years over the Suzzana hitmakers’ alleged bed hopping and violent behavior. The potential, people were seeing in him started dwindling into oblivion slowly and surely. While heading downhill, another chance unveiled itself and the ‘bad boy’ got an opportunity to be in Big Brother Africa 2012 contest. Effortlessly, the versatile musician won back hearts of his fans while extending charm to the rest of Africa. 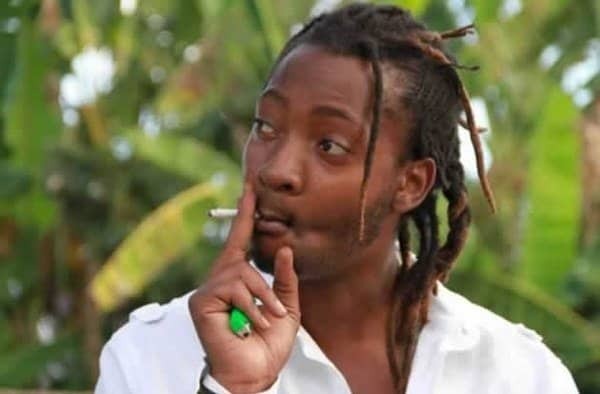 So loved and popular was Roki such that his ‘fore’ in Big Brother house, Maneta Mazanhi, arguably became the most hated Zimbabwean in 2012 after they were both expelled from the house for violating Big Brother rules when they exchanged blows following an altercation. Post Big Brother Africa, Roki was back to business and released two hit songs Number 1 and Hallelujah featuring his then girlfriend Ammara Brown and ExQ respectively. Even one husband Big Brother housemates, Mampi later followed him for a collaboration song that became an instant hit both in Zimbabwe and Zambia. Fast forward to years that followed, Roki went back to his bad ways with reports of him bashing his girlfriend resurfacing again. He later fled to neighboring South Africa to avoid being arrested. Now at 33, Roki is reportedly penniless and struggling to pay his rentals but unsurprisingly continues to promise his followers better music and a brighter future. Watching artists with half if not less his talent doing well in the music industry, can his fans continue to expect surprises from their adored singer/song writer. “God is for us all and my mother inspired me to pen this latest single Denga Dzvene and my future looks bright that i wish my fans will enjoy its spiritual taste,” (sic) said Roki in an interview with a local newspaper. While he has presented himself as someone who pops up when least expected, his date with Kenako studios failed to spark and it remains to be seen if his recent relocation to Seke will bring the old Roki, people have grown fond of over the years, the old guy who popularized the urban grooves movement in Zimbabwe back then. The biggest unanswered and troublesome question to answer for his fans and Zimbabweans in general is whether Roki has reached his waterloo?